What is the Summer Learning Project? 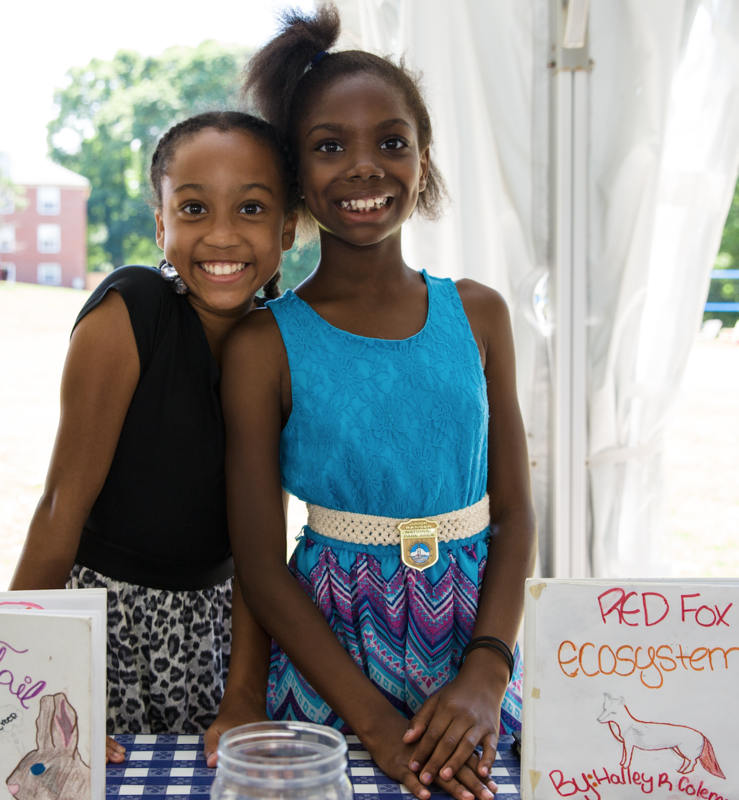 The Boston Summer Learning Project (SLP) is a citywide effort dedicated to advancing a year-round expanded learning system that connects school, out of school time, and summer learning. Led by Boston After School & Beyond (BASB), Boston Public Schools (BPS), and the Boston Opportunity Agenda, the SLP aims to reverse summer learning loss; to improve skills associated with school, college, and career success; and to deepen school-community partnerships. What was SLP’s biggest accomplishment this year? 2015 marked the single largest expansion of the Boston Summer Learning Project to date. This year, the SLP partnered with 16 CBOs and 51 BPS schools to serve 993 high-need students. This impressive growth from five sites serving 232 students in 2010 is due to strong citywide commitment to shared data and year-round learning. We are also proud that to see that the SLP continued to record steady upward progress in improving critical skills essential for college and career success, even as the numbers of students and programs participating ballooned. On a pre-post survey used by all SLP sites, teachers reported statistically significant growth in all 8 social-emotional skills, as measured the Survey of Academic and Youth Outcomes (SAYO T). Youth surveys collected mirrored these positive upward trends, with strong rates of improvement in domains such as peer relationships, communication, and problem-solving. What are you most excited about and looking forward to for 2016? Looking ahead to 2016, we’re excited to build on this momentum and continue to attract more diverse program sites. Additionally, we are encouraged by the growing research base on the effectiveness of summer learning. The largest national study on summer learning to date, which included the SLP, found that low-income youth who participated in rigorous summer learning programs achieved a statistically significant advantage in mathematics come fall, as compared with non-participating youth (Wallace Foundation/RAND Corporation, 2014).The next round of findings, following these effects after one full school year, will be published in spring 2016. We’re excited to see what the data says about the long-term impact of summer learning and to explore how these findings can be incorporated into future planning efforts. SLP pursues continuous improvement. Can you share an example of how year-round discussion helped to improve and identify best practices for summer? Common measurement across the SLP enables apples-to-apples comparisons across all summer programs and helps identify areas of collective strength or weakness. Last year’s evaluation findings, specifically from the SAYO Y (a youth self-report of skills), revealed room for improvement in two program quality domains—Youth Leadership and Youth Choice & Autonomy. Based on these data, BASB and our research partners designed and implemented year-round trainings for program staff around the goal of supporting improvement in these domains. On average, all 16 SLP sites this year have made small but positive improvements in these domains as compared to 2014, which is again evidence of using measurement for quality improvement. What does a typical summer day look like for a student enrolled in SLP? Is there such thing as a “typical” day? While day-to-day activities look different across program locations, the SLP intentionally works to blend academic and enrichment content so that students can apply content knowledge in hands-on exciting ways. For example, at Hale Reservation, students receive three hours of academic instruction per day, learning about topics such as the water cycle. Later in day, students get on a boat during “floating classroom” to explore different kinds of wildlife and to conduct experiments based on the scientific method. Students also participate in camp-like enrichment activities, such as archery, boating, ropes course, and swimming. For more detail about the Hale Reservation site, we encourage you to watch the feature 2015 SLP video. 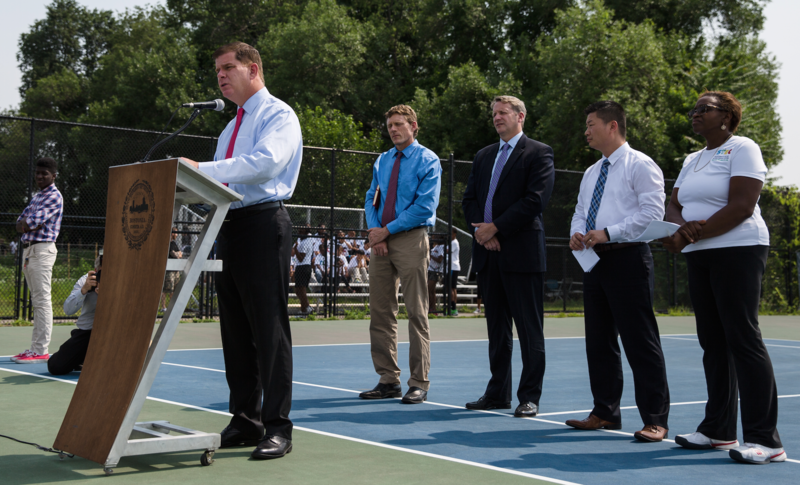 Mayor Walsh challenged the city to enroll 10,000 school children in 100 summer learning programs by 2017. What will SLP’s role be in taking on that challenge? In summer 2015, 63 additional sites that served 4,633 students implemented the same measurement tools as the SLP to assess program performance and student skill development. Through this robust measurement work, BASB has learned that our summer model can attract a wide range of partners with diverse program approaches. In order to meet the Mayor’s goal, BASB will continue to expand the unique opt-in model of the Boston Summer Learning Community and seek new, prospective partners that are committed to adopting this measurement-driven approach to summer learning. 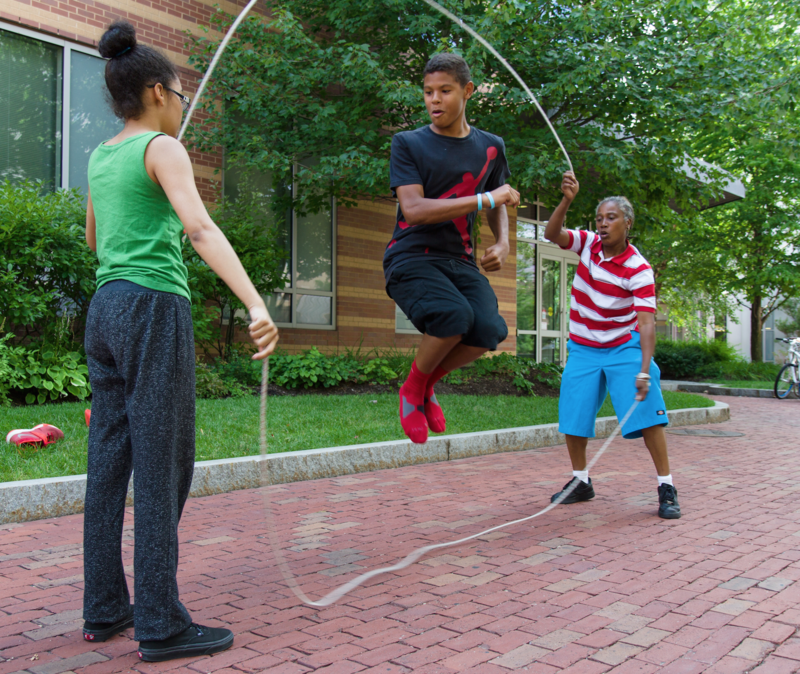 Boston’s summer programs explicitly address social-emotional learning in its program design. How do you ensure that SLP sites include this type of learning? The SLP incorporates full-day programming guided by an essential question to bridge academic and enrichment content. This model emphasizes instruction based on BPS grade-level academic standards, power skills for success (perseverance, critical thinking, relationships, and self-regulation), and overall student health and wellness. Leading up to summer, BPS teachers and program staff participate in a series of joint trainings, led by BASB, that focus on infusing social-emotional development in all aspects of programming, thereby ensuring that this type of learning is not only recognized but prioritized. We are actively recruiting more summer partners to join the SLP. For more information, please contact BASB’s Summer Learning Director, David McAuley at dmcauley@bostonbeyond.org. 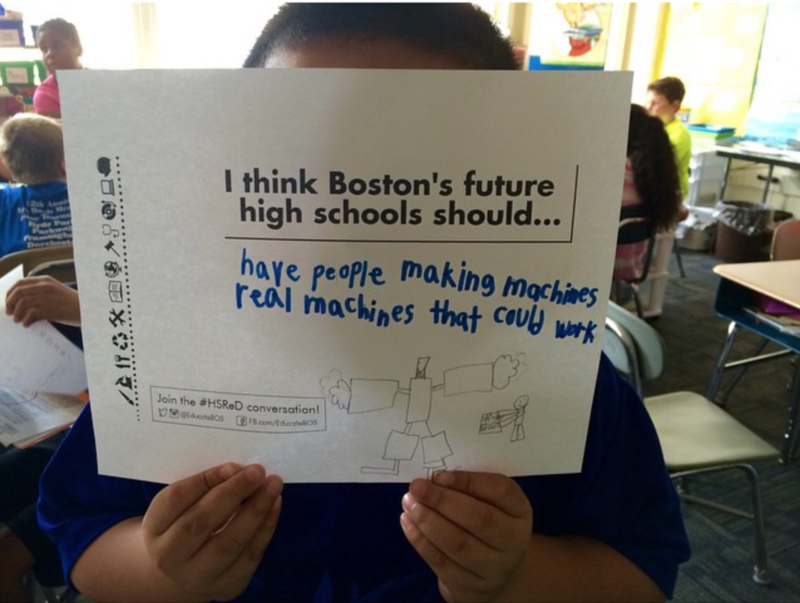 The High School Redesign (HSReD) project is an initiative to craft a future vision for Boston public high schools in which every student graduates prepared for college, career, and life. With the support of the Boston Opportunity Agenda, the Mayor's Education Cabinet and Boston Public Schools are leading the conversation to determine tools for success for all of Boston's students. Since HSReD launched in early May 2015, over community stakeholders and partners have participated in over 29 workshops and engaged with the process through social media. These conversations vary and include both public and private conversations hosted by non-profit organizations, students, and teachers. Over the course of four months, the HSReD team gathered feedback from across the district in these conversations, which aided in developing our principles going forward. Learning must encompass every aspect of the individual- academic, social, emotional, cultural, and physical. Cognitively demanding work is necessary to engage and stimulate our students on a daily basis. Personalized experiences promote passion, creative exploration, and diversity of thought. Meaningful connections within and beyond the classroom, help our students build pathways to future success. These principles were used to focus the conversation on key aspects of learning. You can explore the emerging HSReD principles and share what you think by visiting our feedback form. Additionally, in fall 2015, a series of Design Sprints were held as a series of multi-discplinary work sessions that help us ideate around the specific topics of partnerships, programming, infrastructure, and student experience. Feedback from the Design Sprints will be used by the HSReD team for building a future vision at Madison Park. Make sure to visit our newly launched website and follow #HSReD to help create public conversations about how we can bring the future of Boston Public Schools to life.